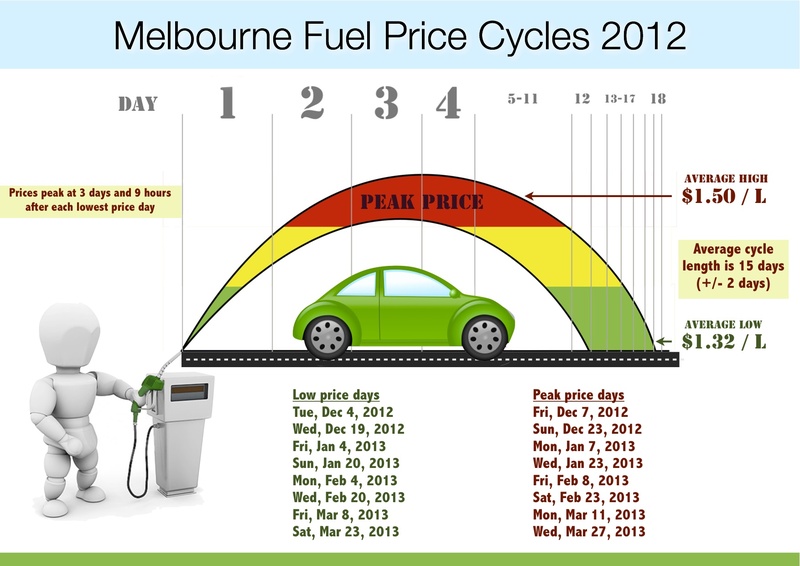 Petrol prices in Melbourne follow an extremely predictable 15-day cycle. (+/- 2 days). The difference between “low” and “high” is about $11 on an average tank of fuel. Data crowd-sourced from self-observation and several price-monitoring internet sites. Disclaimer: while Melbourne petrol prices have been cyclical for a long time, prices could (and do) deviate from this cycle occasionally due to unforeseen circumstances.